The European Marine Observation and Data Network (EMODnet) Phase 3 High Resolution Seabed Mapping Project has been awarded to a consortium headed by the French Hydrographic Office (SHOM) and Dutch company, Maris BV, with OceanWise providing all UK inputs as a full partner. The EMODnet data infrastructure is being delivered in three major phases and includes seven themes. Development of the EMODnet Bathymetry Portal Bathymetry Portal was started during Phase 1 (2009 – 2012) and was enhanced during Phase 2 (2013 – 2016). During Phase 3 (2017 – 2020), the portal is being further developed, together with the six other EMODnet sub-portals, towards delivering an operational service with full coverage of all European sea-basins and a wider selection of parameters and higher resolution data products. The UK’s involvement in EMODnet is unlikely to be affected by Brexit, as multiple partners from outside the European Union (EU) have been participating in the project since its inception. OceanWise is responsible for creating the UK high resolution seabed map utilising hydrographic survey data acquired under the Civil Hydrography Programme (CHP) and other survey data that is made publicly available. However, unlike Phases 1 and 2 of the EMODnet Bathymetry Lot, this phase includes the coastal zone, so additional data is being provided by the Channel Coastal Observatory, the Environment Agency, and the Scottish and Welsh Governments. OceanWise already provides a European wide Web Map Service (WMS) for the shipwrecks sub-theme and will continue to do so into Phase 3. 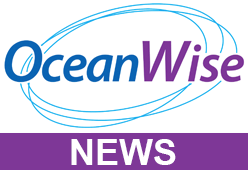 OceanWise acts as a repository for hydrographic survey data and submits cleaned and consolidated metadata to the central EMODnet portal. Portal users are able to query and select survey datasets although most users choose to use the EMODnet Seabed Digital Elevation Model (DEM), which is currently provided at zero cost to end users at a 15 arc second resolution. Users requiring a higher resolution dataset are able to licence the OceanWise Marine Themes DEM, which is available at a resolution of up to 1 arc second (approx. 25m x 25m). The plan for Phase 3 is to increase the resolution of the freely available DEM and to integrate this with terrestrial DEMs from, for example, Ordnance Survey Great Britain (OSGB) with whom OceanWise is already working closely to harmonise their land and marine mapping products. EMODnet complements this work.